Recommended generic setup: Close combat, Extreme Tank. When approaching either of the acceleration gates a popup message explains what you have to expect in the area they lead into. Ship receives damage of unknown type every second. Area deals enough damage to reduce my Rattlesnake's almost perfect passive tank (I have T1 Defense Field Purgers instead of T2, and level 4 in the shield compensation skills) to 56% (stable) by the time I fly to the next gate. 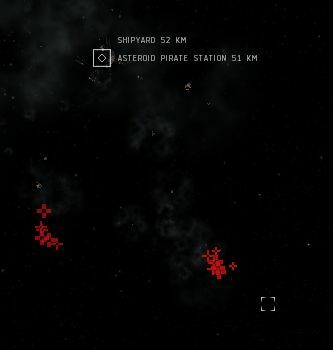 Gate to Pirate Base ~ 40k away. Gate to Entrance ~ 6k away. Beware: Over 1000 dps when all ships are in optimal! Go to the Pirate Station and loot the Hostage. Loot: About 1200 m³ before cap booster charges and metal scraps. Standing increase is excellent with this storyline mission. 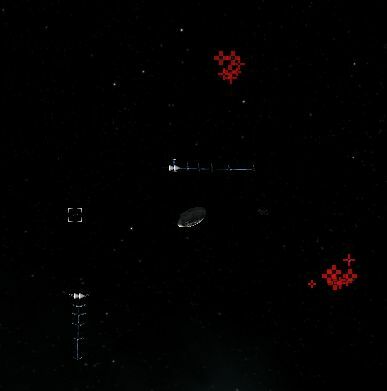 This being a typical mercenary mission, all NPCs will close to a range of 15k or less, similar to Damsel in Distress 4 . If you can handle the DPS and deal good DPS this is very easy and quick (10 minutes) to finish.